My Life In Arts n' Crafts: KaDoodle Bug Designs Holiday Hop! 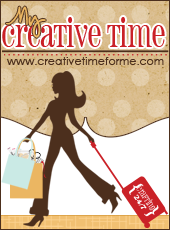 KaDoodle Bug Designs Holiday Hop! 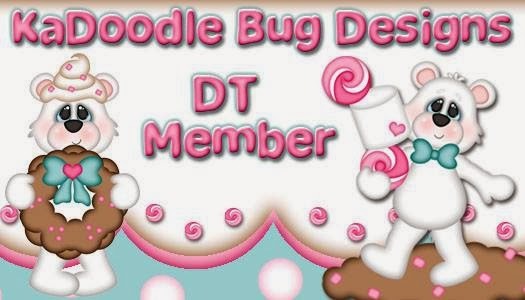 Welcome to KaDoodle Bug Design's Holiday Blog Hop! We are so excited to have you join us today! At each stop of the hop we hope you will be inspired by the creativity of the design team. You should be arriving from Mitsyana blog. If you happened across this post out of order, please head to the KaDoodle Bug Design's Blog to start at the beginning of the hop. I used the new Oh, Ginger Snaps file... how cute are these little ginger people! Now for the Blog Hop Prize! 8 FILES, that's right every new file used in this hop today! What do you need to do to be eligible for this amazing prize? 2. Leave some comment love at each stop. You can do so until midnight on Sunday, November 22 MST to be eligible for the prizes. Very cute project! The ginger girl is adorable! Love the gingerbread girl. She is simply too cute! awww she is a cutie!! Super cute projects... I really need this file! love him. he is so cute. So pretty! I love that you used pink, it makes everything pop! Beautiful card! Jessi: Love your card. . . so cute, adorable, beautiful, awesome . . . Thank you for sharing. Have a wonderful crafty day! love the gingerbreads! very cute! Oh, Jess! This is adorable!! Love her!! I love the simplicity but yet all the little details that really make it come together! Very sweet. Super cute and love the colors you used. I love this idea! Such a special card! Thank you! Yes I would love to win, but even better is all of the inspiration. Thank you! Love it! Thank you for sharing!! Thanks for sharing the inks you use! Can't wait to try this! so so cute love the colors! Such a cute project! Thanks for sharing. Thanks for sharing such a sweet card! Such a cute little ginger! very sweet! LOVE the ginger card! lets get to baking. so doing that. 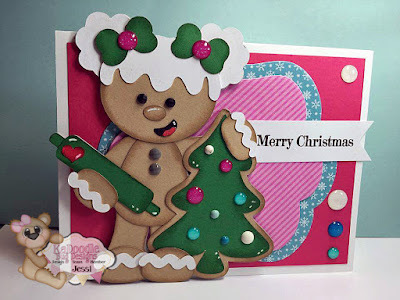 I so love the gingerbread girl, she is the cutest. Love This One!!! Thank You!! Super cute!!! Love the enamel dots as ornaments!! The card is really cute. Thanks for sharing your talent!! Love this card. Thank you for sharing. Amazing! I love your ginger girl~ She is sooooo cuuute!! Such a cute card. The colors are vibrant and lovely. Thank you for sharing. So cute, lots of penguins and gingerbread boys and girls. Love it! The textures are awesome. Love the way he's already to bake! Thank you for sharing your project, you did an awesome job!!!! Great card. Love her icing ponytails. So so cute! I do a lot of baking and this one will be perfect. Great job! She looks good enough to eat. Great job making her look so real. Cute, cute, cute... You really did a wonderful job on both the card & Gingerbread Girl, she looks so darn real and her hair really looks like whipped frosting. I am so in love with all the gingers. They are just the cutest. Love all the gingers! Thanks for sharing your projects. Can wait to frost gingerbreads now. love your card. Jessi, the ginger is so adorable. Thanks for sharing your project. Very cute. Great job on the project. Such a cute card! These little ginger snaps are just so adorable! Your card is adorable! I love the icing hair! Love your card. This gingerbread girl is so cute! Jessi, just love the snowing hear on the little ginger girl. You did a awesome job. I love making cards and paper piecing is my favorite. Thank you for sharing. I LOVE ALL THE DETAILS AND YOUR IDEAS, SO CUTE !!! awesome card, thanks for sharing! Great job on the card!! She is so stinking adorable... Love your card! Adorable!! Such a cute card! Wonderful use of this file! she is so cute! Jessi~Super sweet card. Love the design. This card is as sweet as can be, I love it. I love the glossy ornaments on the tree and on her bows in her hair. Such a pretty Christmas card! I love the colors you've chosen for this sweet card :) Thank you!!! I love all the extras you added. Very cute. Awesome job on your project! I love how your blog looks. So cute! I love gingerbread cookie¨s details! I love this file!! Loving how everyone is using it differently but all the projects are amazing!! You did a great job!!! Thanks for sharing!! !